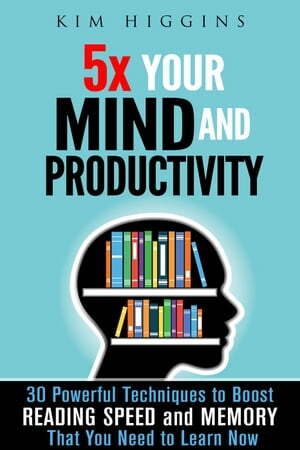 Collins Booksellers - 5x Your Mind and Productivity: 30 Powerful Techniques to Boost Reading Speed and Memory That You Need to Learn Now by Kim Higgins, 9781386374138. Buy this book online. · How to scan paragraphs for key points and vital information rather than wasting your time reading every single word. · How to plan your reading of documents so that you make the most of your time. · Memory boosting techniques and tips that not only help you to build memory but to better access it when needed as well. · How to determine your best learning type and how to use that information to your advantage in every situation. It is a known fact that memory building, retention and recall are skills that start slipping with age. It has been proven that these are skills that can be improved even at advanced ages with just a little extra effort. This is the guide that will show you how to start building and improving your memory right now, today.